Benjamin Dunn, better known as The Wild Wild, once stated "I feel like I've lived a thousand lives" and after listening to his latest LP you can see exactly why. Drawing on inspirations from everything from Greek mythology, a fascination with space and C.S. Lewis, the album covers many genres from electro, indie and pop, all tailored off with Benjamin's unique vocals and writing abilities. 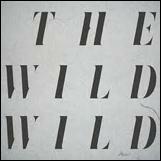 The Wild Wild found a lot of inspiration whilst spending time on a California beach and this album has the ability to make it feel you're sat there right next to him. Benjamin worked tirelessly in the studio with close friends and producers who each helped to add extra levels of sentiment to the album. The stand out single is 'Sail To The End'. With melodic guitar writing and fast passed, high energy drum samples it captures the audience from the start and doesn't fail to disappoint throughout. Accompanied beautifully by Benjamin's powerful voice. With a similar sound to James Bays hit single 'Hold Back The River' but with an added electro element it really gives the single stand out status from the impressive album. 'When We Were Young' is another impressive single taken from the album and goes along way to highlight The Wild Wild's extensive sound. With shaking bass backed up by powerful vocals and linging synth line the song is ideal for any summers day. Sounding similar to Friendly Fire's 'Hawaiian Air' for its happy feel vibes. The song was recently featured on a Visit Orlando advertisement and after listening you can see exactly why. Another highlight from the album is the penultimate single 'Wilderness Light'. With a slightly slowed down pace, compared to previous songs. It's a fantastic way to finish off the journey the whole album takes you on. With rumbling bass and layered, psych-soul harmonies accompanied by a rousing arrangement of gospel harmonies, its the idea way to round off this truly unique and spirit driven album. The single 'Sings' is a demonstration of an electro pop anthem with the Temper Trap-like arrangements of drum beats, well executed grandiosity of pounding pedals and soaring vocals shadowed by drizzling synths. Simply speaking it’s a great showcase of quality song writing and sonic creativity. With comparisons to Bastille and MGMT 'Into The Sea, Into The Stars' is an album packed full with emotion and powerful song writing. After listening it feels as if you to have gained the experiences of a thousand life times. 'Into The Sea, Into The Stars' is available via a 2-disc CD album, vinyl and for download from the 11th of December.